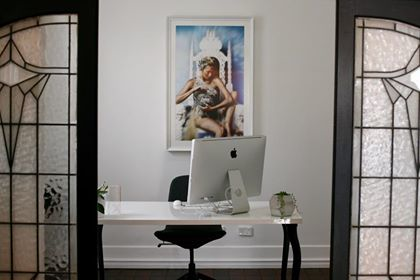 The Small Business Lounge is a boutique New York style workspace with lots of natural light, high ceilings, exposed brick in a quiet neighbourhood surrounded by old tree's, cafes, restaurants, bars and boutique shops. Parking is available and the building is accessible by public transport a short distance from the CBD. Catering is can be arranged.